One year ago, we became a family of five when my Rooster said “I do” to his sweet girl. The cold, windy day didn’t diminish the warmth in our hearts as we watched them pledge their love and commitment to one another. Their excitement for the future radiated out as we, along with N’s parents and the judge, listened in. Rooster would soon be shipping out for basic training; time was of the essence, which was why their courtship was a whirlwind…their engagement a whopping two days. I love that they are doing things their way, albeit in the Air Force’s timing. Happy Anniversary, sweet babes. 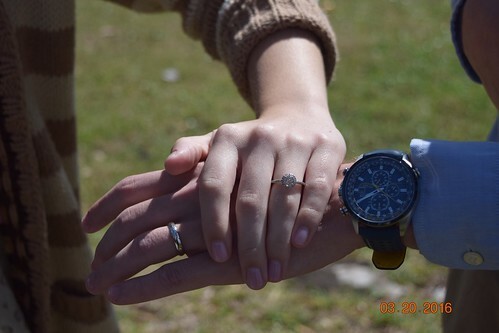 I know that you already value the gift of each day having started out your marriage where every second has counted from the very beginning. 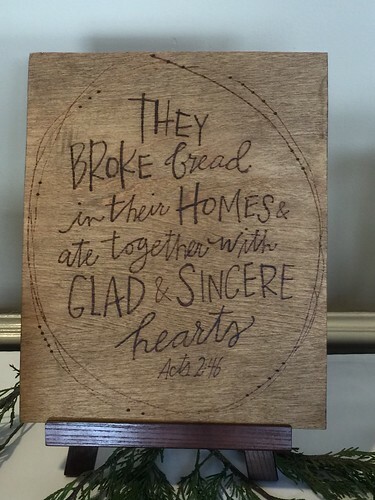 I love your wooden sign about breaking bread! Where did you find it? Happy anniversary to your sweet young couple!